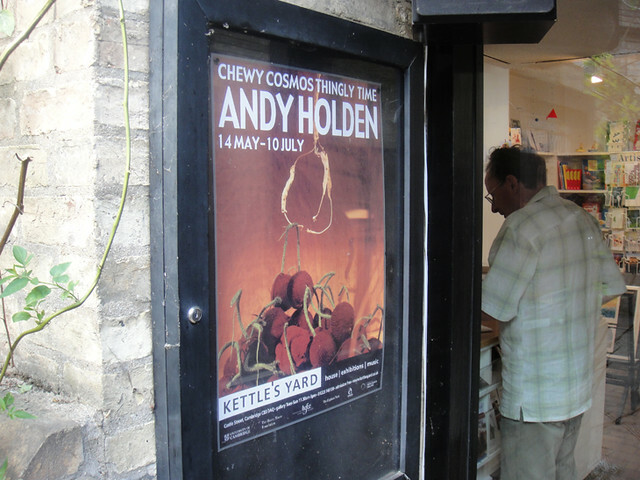 Over the weekend i popped down to Cambridge to have a look at Andy Holden's new exhibition at Kettles Yard. I have seen a previous exhibition of Andy's at the Tate Britain last year, however this was my first chance to have a look at a wider selection of his work. As an artist Andy works across a wide variety of disciplines, such as sculpture, painting, music, film, and performance. Each piece building upon and informing the next, creating a strong synergy between the work. 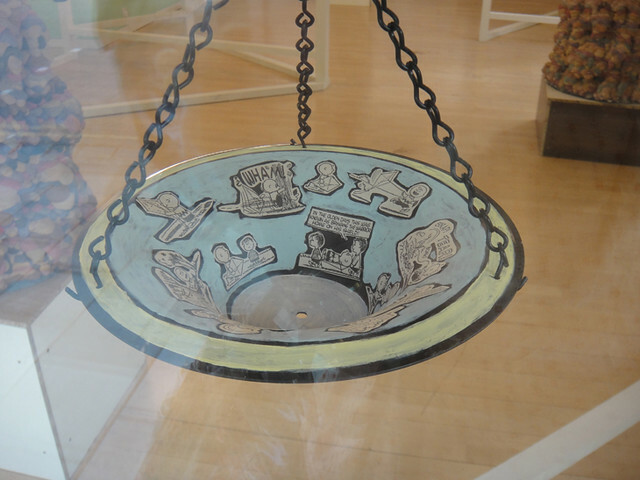 With such an eclectic mix of objects, it's an amazing feat that not a single artwork appears out of place in the show. Highlights of the show where seeing a few artworks i hadn't seen before, like the 'Make up Collage' which initially looks like a series of abstract squiggles and blotches until you realise the motifs are made up of make up marks from glossy magazines. 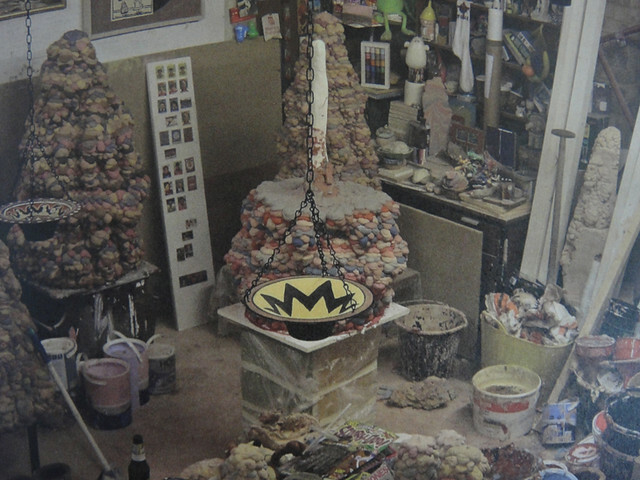 As well as the Cherry Grabber which continues along the knitted theme of the Pyramid Piece. The show runs until 10th July, so if your around the area or indeed fancy a trip up to Cambridge i would recommend having a look around. If you want to find out more about the artist you can see his site here, as well as his band the Grubby Mitts here.